US President Donald Trump has made no effort to study the current situation and the needs and interests of Israel and the Palestinians. He is deeply distrusted by the Palestinians because of his unilateral steps against their interests, a former senior US diplomat said. 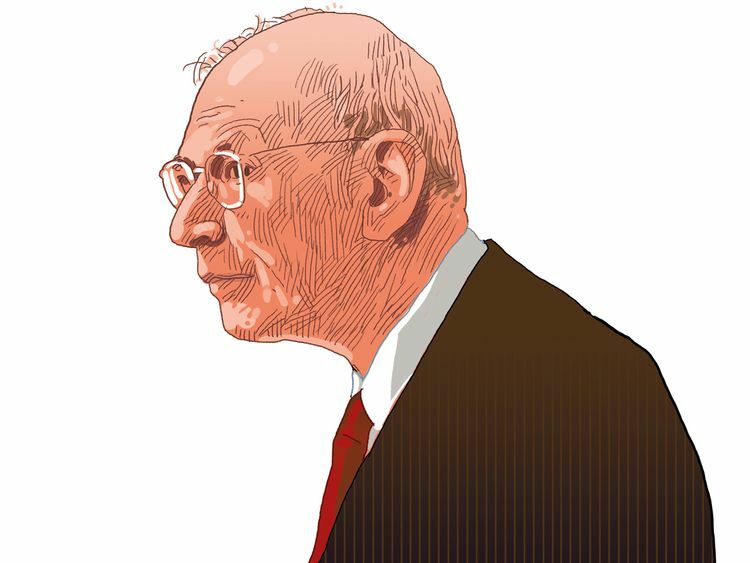 Stuart Eizenstat, former US ambassador to the European Union, told Gulf News in an exclusive interview that by supporting Israel’s annexation of the Golan Heights, it makes it more difficult for the Arab states to support a US peace plan. Eizenstat served under presidents Lyndon Johnson, Jimmy Carter and Bill Clinton, serving as chief White House domestic policy adviser, US ambassador, undersecretary of Commerce for International Trade, as well as numerous other key positions. During his current trip to the UAE, Eizenstat will give talks at the NYU Abu Dhabi and the American University of Sharjah. He will discuss his career in politics, law and his new book President Carter: The White House Years, which has received glowing reviews from various publications including the Washington Post and the New York Times. US President Donald Trump claims he can strike the “deal of the century” in the Israeli-Palestinian conflict. He contends that old methods have not worked, that only new approaches can provide a breakthrough. But while his use of business executives and lawyers rather than seasoned diplomats with regional know-how is novel, his plan is not. In fact, it perpetuates the very problem that has long undermined US pursuit of peace in the Middle East: not involving Palestinians in the discussion. Your assessment? As I describe in my new book, President Carter: The White House Years, there were several reasons President Carter was successful in the Camp David Accords and the Egypt-Israel Peace Treaty which do not exist today. President Carter directly involved himself by studying the history of the conflict, understanding Prime Minister Begin and President Sadat, their backgrounds and their interests; in earning the trust of both sides. None of these factors exists today. President Trump has made no effort to study the situation today and the needs and interest of both Israel and the Palestinians. He is deeply distrusted by the Palestinians because he has taken unilateral steps against their interests: for example, cutting off their economic assistance; moving the US Embassy to [occupied] Jerusalem without seeking any concessions from Israel and without a simultaneous statement by the US that the Trump administration supports a two-state solution and looks forward to having a US Embassy in a Palestinian state. Moreover, Jared Kushner and Jason Greenblatt, the two leaders of the Trump Administration’s Middle East peace process, have been seeking broad Arab support for their eventual plan. But by his recent decision to recognise Israel’s annexation of the Golan Heights, President Trump has made it exceedingly difficult to obtain backing for the plan, however sound it may be. At the same time, it must be admitted that the Palestinian leadership has refused to sit down and negotiate a solution. Moreover, in the year 2000 through Israeli prime minister Ehud Barak and in 2008 under Israeli prime minister Ehud Olmert, the Palestinian National Authority rejected Israel’s offer to return 95 per cent of the West Bank, accept East Jerusalem as the capital of a new Palestinian state, and to allow the return of tens of thousands of Palestinians to Israel. Trump has once again displayed a reckless disregard for international laws by announcing that the US should recognise Israeli sovereignty over the occupied Golan Heights. In doing so, the US president has made his boastful pledge that he will deliver the “deal of the century” to end the Arab-Israeli conflict seem even more preposterous. How can the US command respect in the Arab world when its leader is seen to break international law? Without commenting on international law, by supporting Israel’s annexation of the Golan Heights, it makes it much more difficult for the Arab states to support a US peace plan. Both the Arab states and Israel must trust the US government to understand and respect its national interests. Trump appears to believe he can ride roughshod over international conventions. He previously ignored the warnings of Washington’s Arab and European allies and reversed seven decades of US policy by recognising occupied Jerusalem as the capital of Israel and moving the American embassy there. That severely undermined one of the three core issues at the heart of the Middle East conflict — the status of the disputed holy city. Now the US president has undermined a second — the return of occupied lands. There are concerns that he plans to act on the third — the right of return for Palestinian refugees. How would you assess analysts’ argument that this is utterly irresponsible, and risks stoking more extremism and instability in the region and that Trump’s actions are fodder for Iran and militant groups such as Hezbollah and Hamas? I doubt he will deal with the Palestinian refugees’ return to Israel. I do not think after all these decades, it is realistic for most of the refugees to be able to return to Israel en masse. But this should be left to the parties to negotiate, without the US taking the side of one of the parties. Even Arab leaders who loathe Bashar Al Assad, the Syrian leader, and prioritise Trump’s belligerent stance against Iran over the plight of Palestinians cannot be seen to be endorsing the handover of Arab lands to Israel. Your comment? As I have noted, the US must be seen as a fair mediator for to both sides — understanding Israel’s security requirements and Palestinian aspirations for statehood. Will Trump’s Middle East peace plan help Netanyahu win the election and avert prison? I do not believe there will be a peace plan unveiled before the Israeli elections. After Trump’s actions on Jerusalem and Golan, can Washington still be looked at as an honest Middle East peace broker? These unilateral actions make it more difficult for the Trump administration to be seen as the honest broker for a peace agreement. Does Trump’s erratic Middle East policy — consisting only of chastising Iran, cosying up to Israel’s right wing government, and luring petrodollars from the Gulf — add up to a sound strategy? I do not accept your categorisation of the Trump Administration’s policy, although, as I have indicated, it has not yet earned the trust of both sides.